It's summer holidays and we are home for the summer! We may go on a little road trip later in August, but for the most part we are home and enjoying the break. Ethan is going into Year 2 in September, so he needs a few really active days here and there to tire him out, but Ivy is just going into Reception in September, so I'm mostly keeping her with me! So between our fun days out at the park and play dates with friends I've also booked Ethan in for a few scattered days at summer camps. 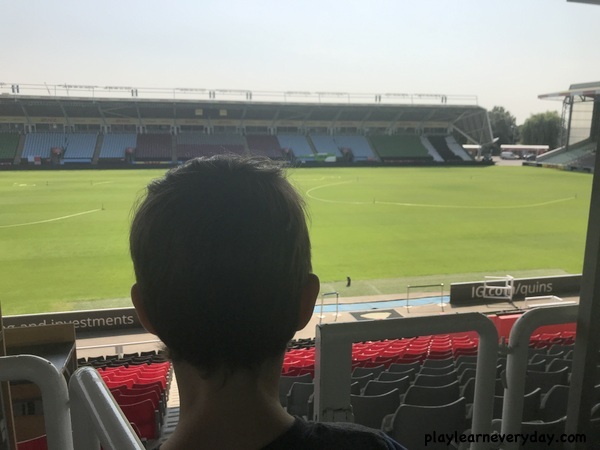 This week he went to a gardening camp for a day, next week he'll go to a science camp and later this month he will spend 3 days at Harlequins Rugby Camp and he is so excited! There are still places at many of the camps across the South East part of the country, so do have a look at the available locations and book in if you are interested. 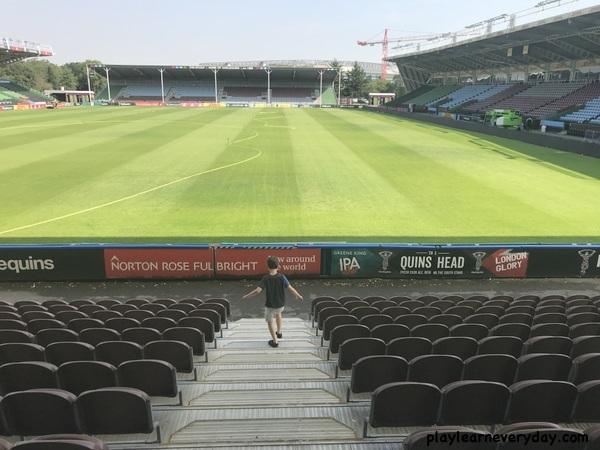 Ethan is crazy about football, but just starting to get interested in rugby, so it seemed the perfect time to take him for a tour around the Harlequins Stadium (The Twickenham Stoop) to get him even more excited about going to camp later this summer. 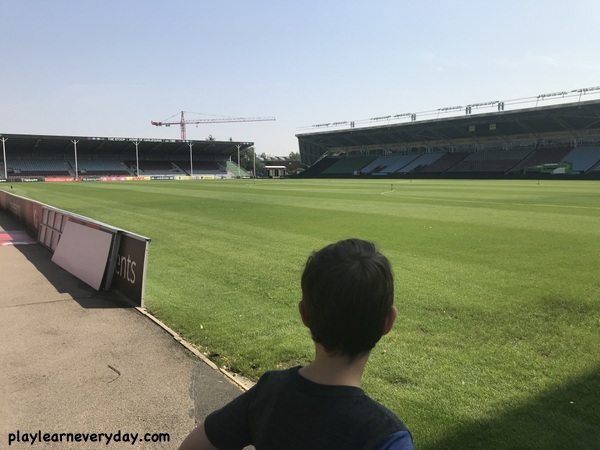 Seeing the rugby pitch where the Harlequins really play and hearing all about the team truly did get him excited about rugby (I have a feeling we'll be regularly visiting The Stoop to watch games now as well!) And he can't wait for rugby camp. I think it will be so beneficial for him to learn the rules and practice his skills with professionals right when he starts learning to play. It's such a great opportunity for children to really immerse themselves in a sport for a few days, they're such little sponges at this age, that I know that after three days of rugby camp he will playing a full game and teaching me all the rules! Of course on our way out of the stadium we did pop into the shop to buy Ethan a Harlequins rugby top, just so he has something a bit special to wear on the first day of rugby camp. 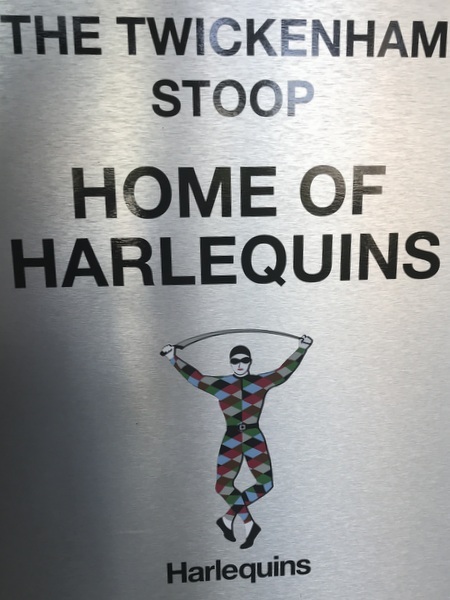 If you're interested then please have a look at the information about the Harlequins Rugby Camp to read more about their teaching philosophy and how they balance out skill development with fun games. Also look at the available camps and dates to book in.